The price for Bosch 6 kg Fully Automatic Front Load Washing Machine ( WAB16060IN ) is valid across Bangalore, Hyderabad, Chennai, Mumbai, Delhi, Pune and Kolkata. 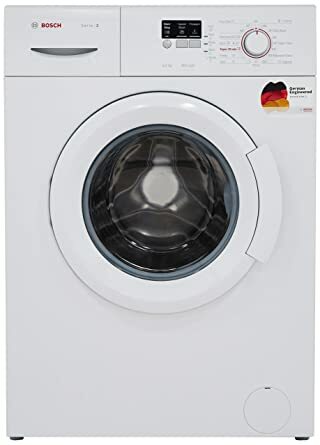 The Bosch 6 kg Fully Automatic Front Load Washing Machine ( WAB16060IN ) is available at best price of INR 20932 on Flipkart. Only LED display is missing.Everything else is fine.